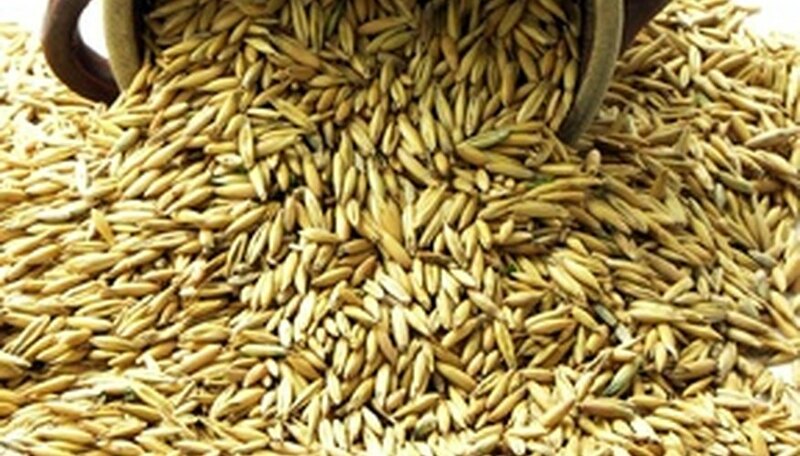 Oats are used in a wide variety of ways, including as food for human consumption, as feed for livestock, as a cover crop for gardens, and even in beauty products. And unharvested oats provide an excellent food source for wild birds when planted as a cover crop. This versatile whole grain doesn't require much special care in order to grow, and some varieties will germinate with a soil temperature as low as 34 degrees Fahrenheit. Determine the right time of year to plant oats in your USDA hardiness zone. Annual oats must be planted in early spring, after all danger of frost has passed for your area. Perennial oats may be planted in either early spring or early fall. Choose a location in your garden that receives full to partial sun the majority of the day. It is important that the area you choose has well-drained soil, as oats will not thrive if they remain overly moist. Prepare the location by tilling until the soil is well loosened. Remove any large rocks or root clumps from your oat garden. Create a trench, using your fingers or the side of a garden spade, the length of the row you are planting. Scatter the seeds down the row, leaving 2 to 3 inches between each seed. Planting heavily will increase the likelihood of a successful crop, since many wild birds enjoying snacking on oats. Cover the seeds with 1 inch of soil, and water until thoroughly moistened. Continue to water any time the top inch of soil becomes dry. Thin the seedlings if you notice clumping, as none of the plants will thrive when overcrowded. Purchase oat seed at your local feed store instead of at a garden supply center; you will likely save money and get a variety of oat seed that is well-adapted to your area. Do not plant oat seed in wet soil, as this could cause result in fungal disease.